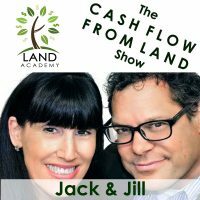 Steven Butala: Today Jill and I want to take the opportunity to thank all of our guests this past weekend at our intermediate live Land Academy event. Jill DeWit: I don’t have much of a voice. Let’s see what else is going on, how’s your voice? Steven Butala: I could sit here and call off all the things that are wrong with my body alone. I wouldn’t leave enough time for my mind, what’s wrong with my mind, because of that event. Jill DeWit: … learning, huge success, huge learning weekend. It was also a great big celebration. Steven Butala: Everybody loved it. Jill DeWit: Yeah, what the heck. Steven Butala: That wasn’t the highlight at all. Steven Butala: It was a fantastic group, thanks very much. We’re going to thank you individually here in a second. Steven Butala: But I’ll tell you, like everything, I go into these things thinking it’s not going to … I don’t know what’s going to happen. Steven Butala: It couldn’t have gone any better. Jill DeWit: Every little piece. Steven Butala: We got gifts from everybody at the end. I really made sure on Sunday to individually ask people, “Did you get what you came for?” And every single person said it grossly exceeded what they thought. Jill DeWit: It was so nice. Steven Butala: So thanks, seriously. Jill DeWit: Thank you. Let’s get into it. Let’s thank everyone. Steven Butala: This is the meat of the show. Jill. Jill DeWit: Thank you [Bay Zang 00:01:58] from Indianapolis for sharing how much you have succeed in your business. Gosh it was so great, from being one of the first Land Academy members to referring some of our most dedicated members to the program, we are grateful to have you as part of our community. We cannot wait to see your business soar as you start to expand and take this to the next level. Steven Butala: Thank you Mary Whitman from Marin County, San Francisco, for sharing your story with us, and we’re certain you and your wife will achieve all your goals in this business. We’re looking forward to getting out that mailer. Jill DeWit: Thank you Christian [Stalberg 00:02:35] from Cleveland, Ohio for sharing all the success you have gained from our program. We are positive you will not be going back to a nine to five. Jill DeWit: Well we tried to be every hour, it was the equivalent of every hour. We got a little, we would get so into what we’re doing. And yeah, she won the custom map, the version of what I have on my wall. Steven Butala: It’s artwork, yeah. Jill DeWit: It’s a US county map where the artist drew the county lines and in there he wrote the county name, and it’s the whole country including Alaska and Hawaii and it’s so cool. And Kathleen won a copy of my artwork, so, I love it. Steven Butala: Every hour we gave away. Sometimes it was land, sometimes it was consulting, sometimes it was free mail. Jill DeWit: Mail, free data. Steven Butala: Free data, yeah. Jill DeWit: It was a lot of good stuff. Steven Butala: Worked out well. Almost everybody won something. Jill DeWit: Yep. Thank you [Cass 00:03:41] from Jacksonville, Florida for being with us at both events. It has been great getting to know you these past few weeks. You showed true dedication, and we cannot wait to hear about the success you and Shay have in store. Steven Butala: Thank you Patrick Elder from Los Angeles, California for sharing your knowledge and experience with us about all the previous programs you’ve been part of. I didn’t know that. We can’t wait to hear where it goes, where your plans and where the success takes you. Jill DeWit: Thank you Michael [Alon 00:04:12] from Quincy, a.k.a Boston, Massachusetts for your participation and dedication to our program. We are certain that you will achieve the numbers and elevation you spoke to us about. Steven Butala: He made a commitment to me right at the end and said, “I will begin mailing 10,000 units out a month until I hit the numbers that I want.” That’s the meat of the actual Land Academy 2.0, the whole intermediate event was, you have complete control over this. Send out more expensive … Buy more expensive property, sell it for even more, and send more mail out. Everybody there had some version of success already, it was just about getting to the next level. Jill DeWit: It was just tweaking. Yeah, and growing. Steven Butala: Thank you Aaron English from Vancouver, Washington for sharing all the success you and your wife have had and for taking advantage of the LA websites. Congratulations on the new LLC and we can’t wait to hear about all the new heights you plan to reach. Jill DeWit: Thank you Dan [Potkay 00:05:17] for attending both events, and your lovely wife Jay, and being an invaluable resource for our Land Investors community. We look forward to continuing working with you, and achieving all your dreams. Steven Butala: Oh, Sliger. I didn’t know he was from Scottsdale. Jill DeWit: Sliger like tiger, yeah. Steven Butala: Scottsdale, Arizona for driving down with your dog. Steven Butala: I didn’t know that. Steven Butala: Not only was it awesome to hear about your success that you’ve had flipping lands, also cool to hear about your passion for jujitsu. Jill DeWit: Thank you Matthew [Nunn 00:05:53] from Mount Olive, North Carolina, for sharing all your success that you’ve had with us. It was so cool to hear about the amount of deals that you have done. Keep going strong. Steven Butala: Thank you Neil [Punquist 00:06:05], Punquist, right? Steven Butala: From Cheyenne, Wyoming, for sharing all the stories with us. We loved the testimonial that we received from you this weekend, and we’re grateful for the contributions that you made to our community. Lots of good questions from Neil. Steven Butala: It’s like we’re emceeing a parade. That’s what it feels like. Jill DeWit: It is kind of like a parade. Steven Butala: Like Thanksgiving Day parade. Jill DeWit: That’s hilarious. Maybe we should do that. Steven Butala: No. Maybe we shouldn’t. Jill DeWit: Oh. Okay. That would be fun. Yeah, and next up is the marching band of the [Allonis 00:06:38] family from Houston, Texas. Steven Butala: See, you should do this Jill. Jill DeWit: Yeah I should, I could. Steven Butala: You’re all set up to do this, completely. Jill DeWit: Ivan and Elizabeth have been with us for … This is good. Thank you Ivan and Elizabeth, oh gosh, Elizabeth with the gorgeous hair, from Houston, Texas, for sharing all the success that you’ve had starting from just using owner’s data to becoming members of Land Academy. Steven Butala: I don’t know this stuff. Jill DeWit: We love power couples. Steven Butala: Thank you Reed Jacobs from Greenville, South Carolina. Your story is so inspiring and we are always happy to share your success stories with the rest of our members. It is this kind of success that we envision of all of our members. And thank you for joining us, and please keep on sharing your accomplishments. Jill DeWit: We had fun. Reed’s a crack up. Thank you … I have a special thank you. Thank you Dave and Kristy [Errs 00:07:30] from Springfield, Missouri for coming to our event and sharing your goals. We are sure that we will be hearing about your business success and can’t wait to watch you take this to the moon. Dave and Kristy drove here, by the way, and they drove here and hand-carried a special treat that they gave to me at the end of the day yesterday. And I want you to know that no one but Steven knows about that treat. I’m keeping it secret and I’m sharing just little here and there, ’cause that was an awesome treat. Steven Butala: It involves a lot of extremely high-end specialty chocolate. Jill DeWit: These nice chocolates, I love it. Steven Butala: Which Jill and I, that’s our one … Well. Jill DeWit: It was really sweet. Steven Butala: We have few vices, but that’s one of them. Jill DeWit: Yep. That was so fun. Jill DeWit: I never know how to say Marilyn’s last name. I’m going to go with [Sivigny 00:08:16]. We all know Marilyn. Steven Butala: Marilyn S, yeah, from Phoenix. Hearing about your success is inspiring and we can’t wait to see where it takes you. We appreciate you coming to the event and learning about your business. Good luck on your move. Jill DeWit: Hey and Marilyn, imagine if you sent out double the mail. Remember what she did? Jill DeWit: She does it so good. Talk about a … Marilyn officially has the best strike percentage of everyone. Steven Butala: Marilyn sent out five offers, and purchased a property for eight or nine hundred bucks, and sold it for five grand. You can’t top that story. Jill DeWit: Who does that? Steven Butala: We recommend maybe 1500 units just to make sure you get a few deals. Steven Butala: But not five. And then she explained it to her husband, now her husband expects her to just send out ten letters and buy a couple pieces of property. Steven Butala: It’s like pulling that slot machine, and winning the first time. You never want that to happen. Jill DeWit: Exactly. Yeah, oops. That’s right. Thank you Chuck [Litka 00:09:12] from Seattle, Washington. Hearing about you going to the same school as me was so great. Was this for you? Wait, it is me. Steven Butala: No, it’s you. It’s got Garden Grove. Jill DeWit: It is for me. That came right to me. I wanted to think about that, Chuck Litka, that’s right, duh. I found out later he was Pathetica, but we’ll get to that. Anyway, Garden Grove, it was really funny. Steven Butala: Oh yeah, oh, okay. Jill DeWit: I’m glad we share the same passion goals. As a committed member it’s a pleasure helping you reach your goals, and look forward to seeing you at the next event. So yes, so Chuck, also from Garden Grove. I found out it was a different high school right there, and we have a good laugh about that, it was really good. Steven Butala: Thank you Gary [Eubanks 00:09:53] from Atlanta, Georgia for joining us this weekend and coming back to the membership program. We love hearing about your success and look forward to being a founding part of the House Academy Community, which we will be releasing in January. Jill DeWit: Yeah, we did a lot of planning with this group too. It was really good. Thank you James Hyatt from Columbia, South Carolina for coming, you were with Reed, for sharing your insights and listening to the podcast. We have no doubt about your continued success in this industry and hope that 1.25 Navajo acre property that you won pays off. Steven Butala: Thank you Matt Rogers from El Segundo, California for sharing your success that you have had using the resources that we offer. We’re confident that your success is only going to go up from here. Thanks again for making it to the event and congratulations on your one year anniversary from your first mailer. On and off Jill and I have been talking to Matt because of his close proximity to us geographically and he shared with me confidentially how much money he made last month, and it’s staggering. It’s absolutely staggering. He’s now ready to hire some staff to help him increase it even from there. Jill DeWit: Thank you Jason Clark from Marin County, California for sharing your knowledge and experience with us. We are so glad Steve convinced you to fly down this weekend and are confident that your success is only going to keep going. Excited for your personal coaching call with me. Steven Butala: How do you spell this person’s name Jill? Jill DeWit: How do I spell it or pronounce it? Steven Butala: I mean pronounce it, sorry. Steven Butala: Thank you Quinton Garrett from Kentucky. Knowing that your business is doing great makes us really happy. Keep the momentum going and I’m sure we’ll be hearing about more of your success stories. Jill DeWit: It’s okay. Your ethic and drive to help others is going to help you skyrocket in this industry. Joe had some great information to share, planning some great little side things that we wanted to be a part of. Jill DeWit: That’s awesome. Well we’re going to do some stuff with Joe. It’s going to be good. Thank you Steve Downs from Wisconsin for getting back into the land business after retiring from your corporate job. That was awesome to hear. We are glad that you are all in on land. Looking forward to reviewing a deal with you soon. And Molly wants to add a hometown Chicago shout out to you. Steven Butala: Oh cool. Thank you David Clyde from Las Vegas for being part of our community since 2015, since the beginning. It was fun hearing about your background in real estate private equity. We hope you’ve warmed up now that you’re back home and out of this chilly southern California weather. It was cold this weekend. Jill DeWit: It was a little cool, some people where a little cool. It was awesome. This is fun. Thank you Max Edson from a local LA airbase, he’s really close to us, and for making it out this weekend. It was great that as a new member you’re already taking initiative and focus on what you do best and outsource the rest. We look forward to seeing your business grow and thank you for your service to our country. Max is part of a little group, there’s three of them, and they were all going to come but Max was the only one that really stepped up. And I know Max, I hope you got a lot out of this, I know you got a lot out of this, and I can’t wait to see what’s coming. Steven Butala: He sent me a picture of himself drinking a beer on the beach out of the Stanley Cup. He plays hockey for the military. Thank you Greg [Bayliss 00:14:19] from Tulsa, Oklahoma for sharing with us how you started your land business with investors and for being our Heartland Payment Systems connection. Hope you got home and closed that third deal with ease. This guy does huge deals, like 14,000-acre transactions. Omar, our offers to owners guy, will be looking for your call to do those 3,000-plus free data pulls and help you close many more deals. Jill DeWit: And I’m glad you came Greg. Greg was a last-minute, I think it was a quick, the weekend became available, can I come? Heck yeah, we’ll get you in, and it was perfect. Thank you Tom and Patricia from Chicago for sharing your experiences as members over the last year and closing over 40 deals, wow. Steven Butala: Wow, did they really? Jill DeWit: Yep. Come along way in a year. We’re happy that you came to learn more and excited to see what you do with the House Academy Community. And congratulations Patricia for winning the social media. We have a little #landacademylive contest and she won, it was awesome. Love how talented all of our members are. Steven Butala: … as informative. To get two people who are killing it, I mean every question I got, I would answer it and then I would say, “What do you guys think? Justin, what do you think? Luke, what do you think?” And they would have different perspectives on it and it’s probably added twice the value that Jill and I could have delivered just on our own, so thank you. Jill DeWit: I’m sure of it. It was amazing. Jill DeWit: Member Mike Marshall. Jill DeWit: Member Mike Marshall who happens to work for LA County. Steven Butala: I mean, that’s in the county commissioner’s office I think. Really, truly shed some light for everybody, including me, about what goes on in the inside of a large county office and how many calls you have to take and how the property divisions and just … I mean, it was a true inside track kind of hour that he led us down. Jill DeWit: It was [inaudible 00:16:56] recon and we all got the real story, what goes on at the county. Steven Butala: What’s buildable, what’s not buildable. Jill DeWit: What’s possible, what’s not possible. Steven Butala: Why they’re so angry on the phone when you talk to them. How to actually literally call the county and get something that you want, versus just being frustrated with the government red tape. Steven Butala: It was truly inside track stuff. Steven Butala: Well you’ve done it again, you spent another, I don’t know, 17, 18 minutes or so listening to the Land Academy Show. Join us next time where we discuss beginner, intermediate, and advanced level membership. Jill DeWit: Cool. 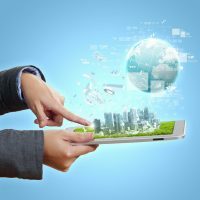 And we answer your questions posted on our online community, landinvestors.com, it’s free. Steven Butala: You are not alone in your real estate ambition. Truly an amazing group Jill. Jill DeWit: I think I slept 12 hours last night. I wonder if anybody remembers how those, if any of our folks have the same experiences. I bet they did. I know a few of our people took all night flights to get home. Actually Dan and his wife, I think they took an overnight flight so they could spend as much time with us here today, or spend enough time and meet with some more people on Sunday that is. And then, gosh, she just had to jump right back into work. Steven Butala: Our staff worked the whole weekend. Steven Butala: I mean thank you staff, jeez. Jill DeWit: Yeah. That’s true. Aw, we should thank them. Molly, Aaron, Omar, Karla, Justin, Joey, Steven. Jill DeWit: Did I not say Landon? Steven Butala: Justin. It’s okay, you’re sleepy. Jill DeWit: Oh my gosh. All right. I’m brain-dead. Steven Butala: That’s totally okay. Jill DeWit: On that note. Share the fun by subscribing, excuse me, by hitting the subscribe button. Or stay up to date on our podcast, and if you’re new to our channel, please like us and then comment on what you’d like to see in future shows. And if you’re listening on iTunes please rate us there. We are Steve and Jill.